We are so grateful for all our wonderful volunteers - would you like to join them? 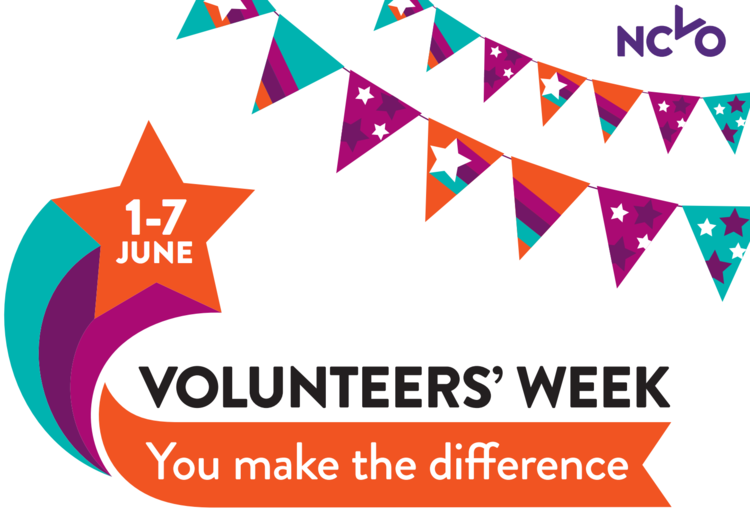 We are celebrating Volunteers' Week by saying thank you to our volunteers and sharing some of their stories! We could not do what we do without our volunteers. Originally from Newcastle, I moved to Sheffield in 2016 to begin a course in German Studies at the University but it was only in October of 2017 that I began volunteering at the Cathedral, something that I had found out about at the Sheffield University’s annual Volunteering Fair. I wanted to gain experience in a working environment as well as bring some more variety into my week and so I didn't hesitate to exchange details with the Cathedral’s representatives there. After a short application process I joined the team. At the moment my work period is four hours a week in the Cathedral’s Gift Shop. This amount of volunteering is perfect for me and reflects the flexibility of the shifts available here. I form part of a team of warm and enthusiastic volunteers who, in teams of two, work the till, deal with and help customers with queries, manage ticket sales for events taking place in the Cathedral and clean and maintain the shop floor. At the end of the day we are responsible for cashing and locking up. A great thing about my time at the Cathedral is that it’s made me feel part of a community, both within the Cathedral itself and in our wider city. I would say that the latter reflects the central role of the Cathedral within Sheffield: it’s a real community space. Being on the volunteering team has plugged me into what’s going on in the Cathedral. As a venue we host numerous functions ranging from guest speakers and theatre productions to concerts and craft fairs, many of which I have attended. Being a volunteer here means you can steward at these events too. Two things I particularly enjoyed were Diarmaid MacCulloch’s talk on the history of Christianity and Riding Light’s Theatre Production about the relationship between science and religion. The thing I look forward to most about volunteering is catching up with the other volunteers. I have built close friendships here and many of them with people whom I would otherwise never have come into contact. We are such a varied team and this makes work here all the more fulfilling. Overall the Cathedral is a great space to work in. It has become a real highlight of my week and is something that has been a real pleasure but also very formative for me. I’d highly recommend getting involved here to people of all ages. Thank you to everyone for making me so welcome. In December 2013 I suffered a stroke at the age of 68, which at the time I thought would result in a life changing experience for me. For a short while it did just that, with most of my family and friends telling me that it was the time for me to stop my working life. Since the age of 15 I have worked in various administration positions which traversed several areas from Office Junior through to a Senior Secretary PA to the Chairman of a chain of Estate Agents. However, after leaving the security of the hospital wards it did become apparent to me that, following my stroke, I would not be able to carry out my normal duties at that time and I admitted defeat. I found that memory loss, tiredness, plus the fact my confidence and concentration levels had been affected made me feel that I would become a burden to my colleagues and could no longer work, so I reluctantly retired. The consultants said that there were some areas of my brain that had been damaged but I should try to “retrain my brain”. I would probably regain some control but it may take some time. After about 9 months I had made a very good recovery from the physical symptoms of the stroke, but mentally found myself becoming withdrawn and was aware that my outgoing personality was changing - I did not like myself! I felt I had become a very boring and somewhat grumpy person and was now on a downward slope!! I felt I was “on the scrapheap” with no purpose. So, it was at this point that I decided to look for voluntary work where my people skills could play a part again. I love being with people and having a purpose in life and wanted to reach out and help people again. I visited Voluntary Action Sheffield and they matched me to the welcomer role at Sheffield Cathedral. From my first visit to Sheffield Cathedral to request a Volunteer Application Form I knew that I was going to love being there, and felt that I had somehow been guided there. It was now time for a new beginning. I had my first informal chat, then my induction with Chris Carrington the Volunteer Co-ordinator and wow! Iwas on a new path. Chris inspired me again to make the most of my life and become my old self again! I cannot describe the transformation that has happened since I was given the opportunity to volunteer at the Cathedral – my confidence in myself has returned and I feel so passionate about the building and all the staff. All of them are so kind and protective and have welcomed me into the team, making me feel appreciated and needed again. My memory is improving all the time and every time I attend the Cathedral I feel at peace somehow and find myself wanting to absorb as much experience and knowledge as I can. I find myself wanting to spend as much time there as I possibly can and think that my involvement is proving to be really beneficial to my future well-being.